Combining the efforts of both expert lepidopterists and citizen scientists to discover the life histories of all Lepidoptera (moths and butterflies) occurring in Africa. If you’ve found a strange caterpillar eating your plants and you want to know what it will become, you’ve come to the right place. 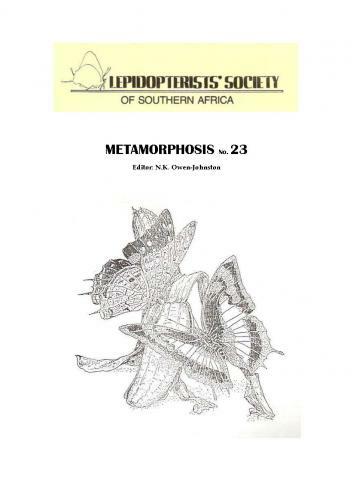 The Caterpillar Rearing Group (CRG) is a project of the Lepidopterists’ Society of Africa (LepSoc). It combines the efforts of both expert lepidopterists and citizen scientists to discover the life histories of all Lepidoptera (moths and butterflies) occurring in Africa. This project is especially important for discovering previously unknown lepidopteran life histories. 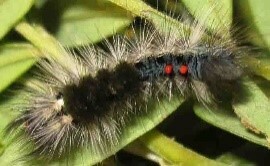 The world of Lepidoptera does not only consist of the flying adult moths and butterflies that we see on a daily basis. These flying wonders have gone through the magical process of metamorphosis, having transformed from crawling, hungry caterpillars to the flying adult moths or butterflies we know so well. 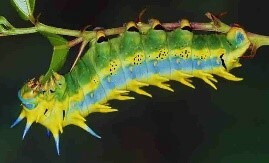 The secret lives of caterpillars may well be more fascinating than the adults they transform into. Our current knowledge has yet to scrape the surface of this world, but the small glimpses we have seen have sparked the interest of lepidopterists far and wide. Tens of thousands of moth species and about 4 000 butterfly species occur in Africa. 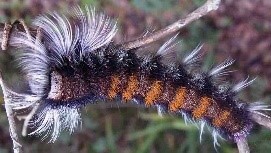 No one person could ever achieve to determine the caterpillar – adult – host-plant associations for all these species. A few of these associations have been uncovered but the amount still to be discovered is staggering. This is what inspired LepSoc to create the Caterpillar Rearing Group. The CRG’s main purpose is to increase knowledge on the life histories of all Lepidoptera in Africa, especially those for which nothing is known about their life histories. 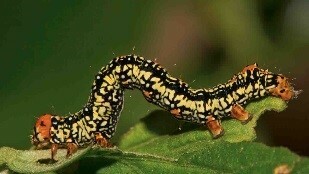 Caterpillars of both moths and butterflies (lepis) will be reared through to adulthood, taking notes and photographs of the various life-stages, host-plants and other interesting behavioural phenomena. This knowledge will contribute significantly to the conservation of this group of insects on the African continent. The project combines the efforts of both expert lepidopterists and citizen scientists. Anyone who is willing to look after a caterpillar and rear it through to adulthood is welcome to join and help discover the life histories of more species. Together we can solve the many unknowns in the life histories of these fascinating creatures. If you would like to become a member of the CRG, please email Project Leader Hermann Staude for details: hermann@busmark.co.za.